Very unusual and stylish r unning/sports jacket. 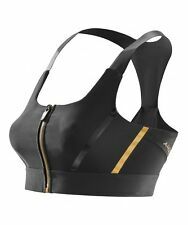 New Ivy Park Sports Bra Halter Neck Crop Gym Top Black And Gold Size Large. Condition is New with tags. Very flattering plunge look! I’m selling the matching bottoms in medium too! Dispatched with Royal Mail 2nd Class. 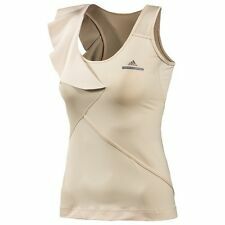 H&M Gold Gym Vest Size s. Condition is Used. Dispatched with Royal Mail 1st Class. Machine wash. 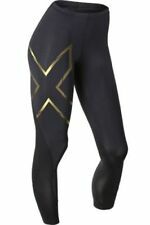 Body: 86% nylon/14% spandex. Side panels: 100% polyester. MORE DETAILS. Sole Material - Rubber;. Textured rubber outsole;. Fantastic look, will never go out out style;. EU size 38-39. Ladies crop top size 8 by Primark. This has been worn but it is still in good condition with plenty of wear. TS top TAKING SHAPE plus sz XXS / 12 Activewear Half Way Top sport stretchy NWT!